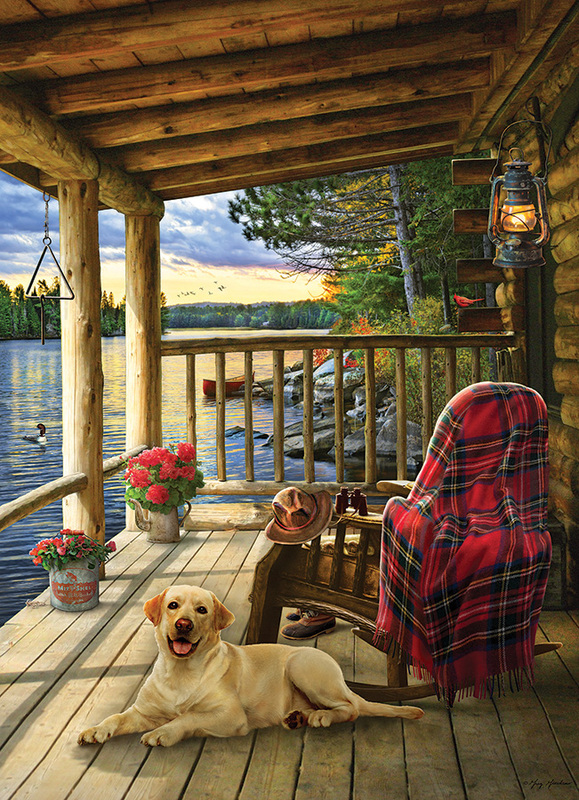 Walter pulled himself up out of his rocking chair to take a picture of his happy yellow labrador on a Cabin Porch, enjoying the sounds of the ducks in the water and the scenery of a beautiful sunset. A 1000 piece scenic puzzle by artist Greg Giordano. Item # 80005 Weight 1.61 lbs.